Thank you! We'll send you an alert just before the price drop. Launched to cater to the cheaper section of the market, Samsung Galaxy On5 Pro is one of the many cheap android phone that Samsung makes. Right of the bat, just by looking at the design, you can tell that this is a Samsung device. Samsung Galaxy On5 Pro has Android 6 (Marshmallow). The phone has a 720p TFT capacitive touchscreen. Samsung Galaxy On5 Pro has a 16GB onboard storage which can be expanded up to 256GB. The phone has 2GB RAM paired with Exynos 3475 quad-core chipset clocked at 1.3GHz.. The back camera is an 8MP shooter whereas on the front you get a 5Mp selfie camera. The picture quality is decent for a phone this cheap. In 2019, devices like Samsung Galaxy S9, Note 9 etc. are available which are way better than Samsung Galaxy On5 Pro. 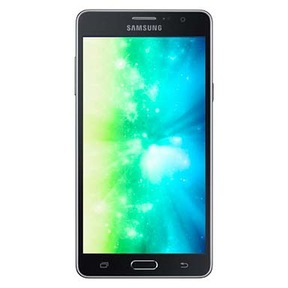 Sell old Samsung Galaxy On5 Pro for the best price on Cashify to earn some quick cash for your new device. Why Sell Your Old Samsung Galaxy On5 Pro On Cashify? Samsung Galaxy On5 Pro can be sold on Cashify easily. No matter how old or new your phone is, Cashify gives you the best possible price for your used device. 1. Navigate to the sell old mobile phone section. 3.As soon as you select the phone, Cashify will give you an estimation of the price that you will get selling the old device. 4. Click on the Get Paid button to proceed. All you have to do is answer some simple, basic questions about the phone’s condition and that’s it. If you are happy with the price quoted by Cashify and want to take it, schedule a free mobile collection. Cashify agent will collect the handset from your doorstep and payment will be processed on the same instance. All product names, logos, and brands are property of their respective owners. All company, product and service names used in this website are for identification purposes only. Use of these names, logos, and brands does not imply endorsement.